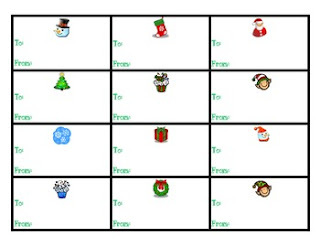 Christmas or Holiday Gift Tags- These are small holiday gift tags that you can print, cut, and attach to gifts for students (or anyone). 1. A pdf file- I created this using copyrighted fonts and images to make this unique. Because of this, it cannot be edited. You can print and write names on the tags. 2. A Microsoft Word file- This was created using Microsoft Word's installed images and fonts. This way, you can edit and type names in if you'd like.